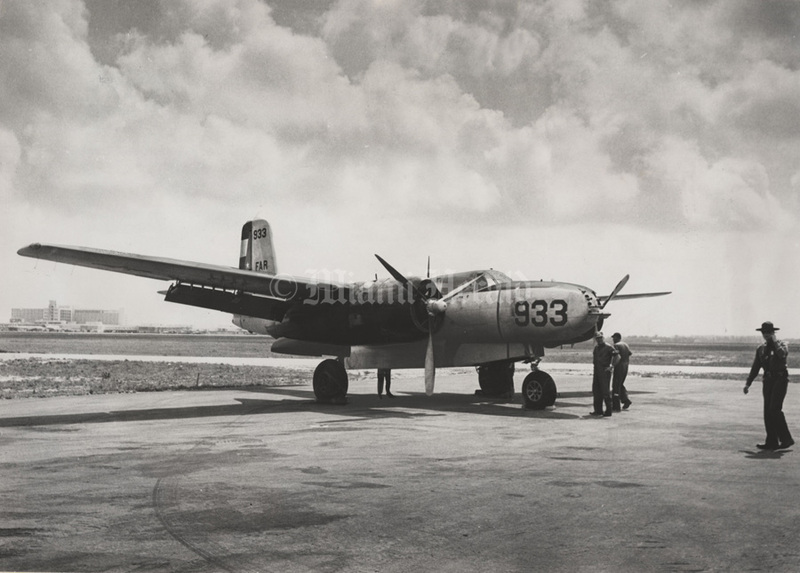 1961: Cuban Air Force Plane Used by Pilots in Revolt Against Fidel … defecting airmen brought ship safely to landing in Miami. 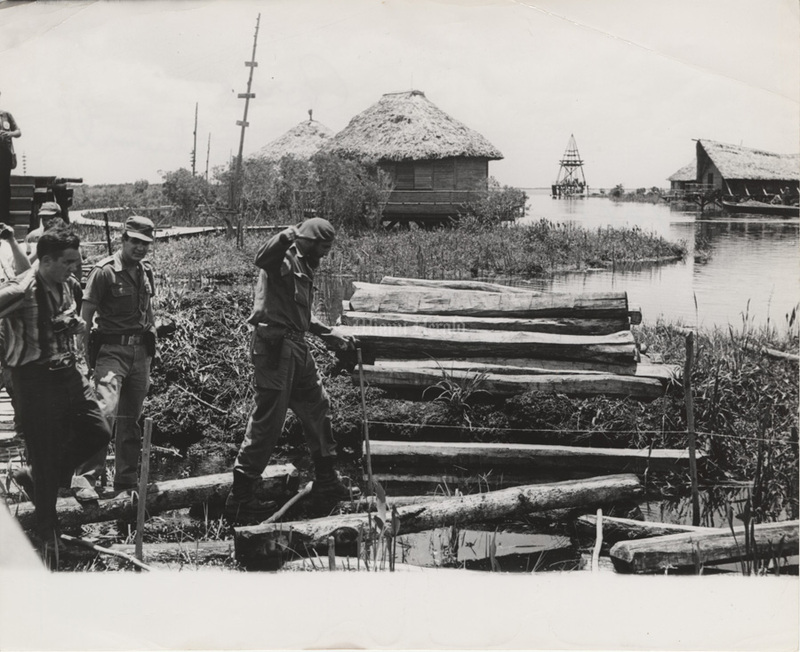 Published 6/19/1961: George Southworth/Miami Herald Staff — Fidel Castro tiptoes across logs leading to half-finished workers resort in lake near invasion site. 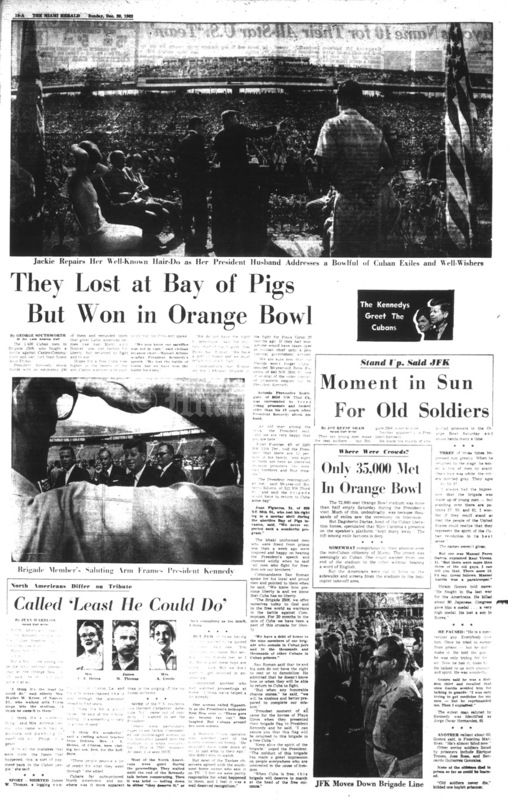 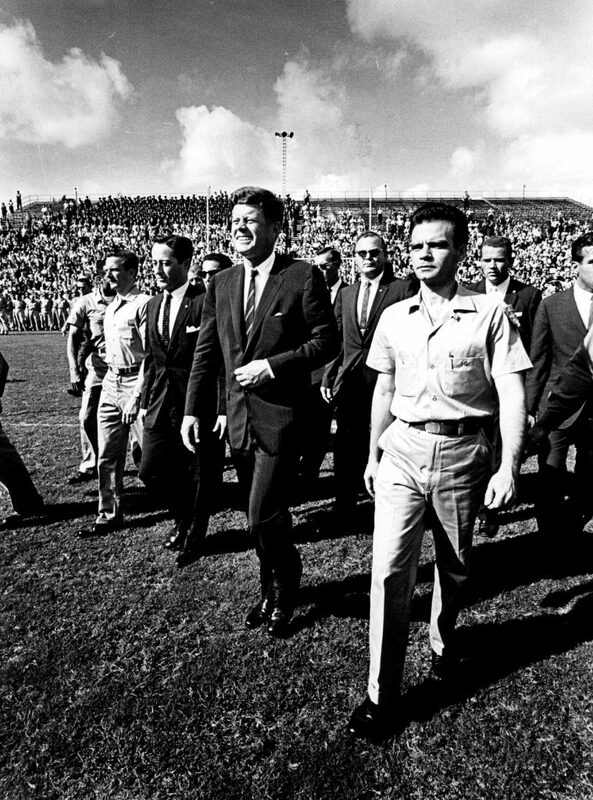 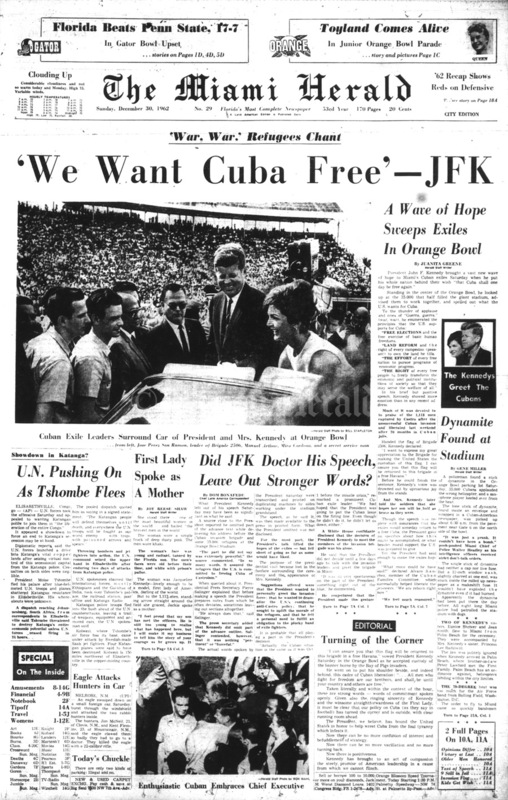 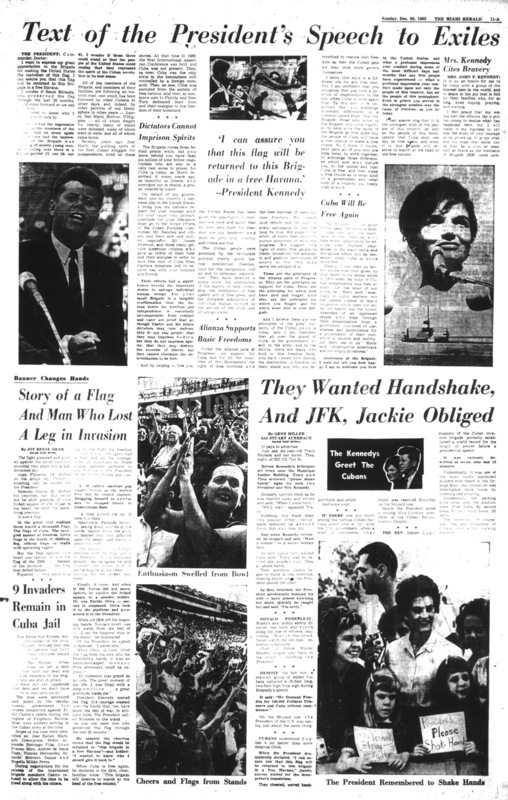 12/29/1962, Miami Herald: President John F. Kennedy in Orange Bowl walking alongside Bay of Pigs invasion leader, Manuel Artime.